January 12, 8:00 a.m.-4:00 p.m.
January 13, 12 noon-4:00 p.m.
Semi-finalists will visit Newton South High School to observe classes. 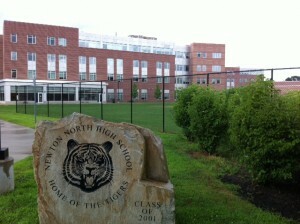 Finalists will visit Newton North High School between February 8 and 10. The visits will include meetings with teachers, a small-group meeting with four to six parents, and a large-group meeting open to all parents/guardians. The Newton North PTSO Board will select two Newton North parents/guardians for the SAC and several participants for the small-group meetings. The decision will be based on several factors, including a well-balanced representation across different constituencies at Newton North.